Last year, we were entranced by the pop sensibilities and experimental instrumentation of Future States’ album Casual Listener. A little over a year after its release, Montreal-based composer James O’Callaghan has taken the album and made it nearly unrecognizable. 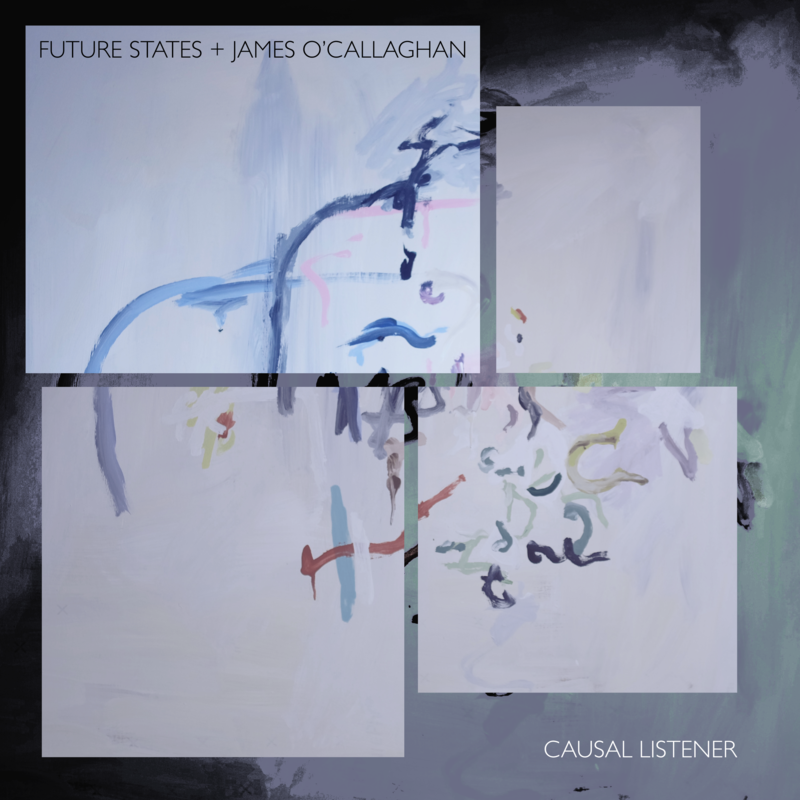 For Causal Listener (note the subtle title change) O’Callaghan has re-imaged and remixed Future States’ Casual Listener. Apart from a steady curiosity that Future States’ album was also marked by, the two records are vastly different. While so many remixes sound too much like the source material, O’Callaghan’s Causal Listener is very much its own entity. It’s like two individuals have brushed past each other in a crowded room – a brief moment of contact – but then returned to their respective lives. I’m a composer and sound artist working in the more ‘arthouse/academic’ world, but my beginnings in music were making electronica. It’s been about a decade since I have made that kind of music, but somehow keeping a foot in that world has been an itch I need to scratch. Future States have been dear friends since they first formed, and even during the recording of their first EP we talked about the idea of a remix project. For that record they actually generously gave me all their multi-tracks and unedited takes from their recording session, but it wasn’t until they released their beautiful LP Casual Listener that I found the time to take a crack at it. In this case, I used their finished mixed tracks as source material. Each remix samples only from its source track, with the exception of one extra ‘found sound’ added to each. Causal Listener was a complete joy to receive – a birthday present from one of our very close friends sent over almost a year to the date of our LP’s original release. And it caught us almost by surprise – James had asked us very early on in our mixing process if we’d be open to him reworking our music, and then as time passed and he stayed busy with projects we imagined it’d fallen off his radar. And even then, we thought he might look at a track, or do a little mashup…we never imagined he’d have a go at every track! The album is pure James, even down to the word play of the title – seriously good experimental electronic music that is detail oriented and infused with social commentary and wit. You can hear this in some of the motives or sound bites that are brought into focus in his remixes, as he hones in on a particular word, rhythmic gesture or vocal tic and pushes it to the forefront. It’s really meaningful to have our music reworked by someone we trust so implicitly, and whose art-making we admire.